Dual citizenship occurs when a person becomes a citizen of more than one country, either through birth, ancestry or naturalization. While a candidate must meet various criteria to become a dual citizen of Ireland and the United States, the process remains straightforward and requires only proper documentation and patience. The United States possesses more stringent rules for becoming a citizen, while Ireland's laws impose less strict requirements. Becoming a dual Irish and United States citizen comes with several benefits. A resident can pass freely within either country and doesn't require a passport to travel between the two. As a European Union member country, an Irish citizen can live or work in any country within the EU and becomes eligible for various unemployment and social benefits. As a United States resident, a citizen can sponsor relatives to become United States citizens and will never be deported or denied entry into the country. 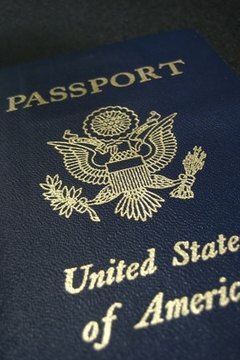 To gain United States citizenship, a candidate must meet one of several criteria. They may undergo a process called naturalization, in which they apply for citizenship and swear an oath of allegiance to the United States. If an Irish citizen was born within the United States or has at least one parent that is a United States citizen, then she already possesses U.S. citizenship. If a candidate possesses at least one Irish parent, then he is already an Irish citizen. If at least one grandparent was an Irish citizen, then a candidate may apply through Ireland's Foreign Birth Register. To do this, he must submit his grandparents', parents' and his own information to the Foreign Birth Register to prove his Irish descent. Once complete, the organization will send him confirmation that he may use to prove Irish citizenship and to apply for an Irish passport. The United States tends to frown upon dual citizenship and once even considered it illegal. Two landmark cases in 1967 and 1980 moved the Supreme Court to strike most of the laws forbidding dual citizenship. The rules still apply somewhat to those who become U.S. citizens via naturalization, in which the oath includes renouncing allegiance to the candidate's old country. However, many countries don't recognize this clause and continue to treat the candidate as if she were still a citizen of her original country. Holden, Amanda. "United States and Irish Dual Citizenship Requirements." , https://legalbeagle.com/6831715-united-irish-dual-citizenship-requirements.html. Accessed 24 April 2019. Can Convicted Felons Leave the Country?